Add in the blood orange agrumato olive oil to the chocolate and whisk to thoroughly incorporate. Allow to cool until it reaches a spreadable consistency. Gently spread the slightly cooled ganache over the completely cooled cake. 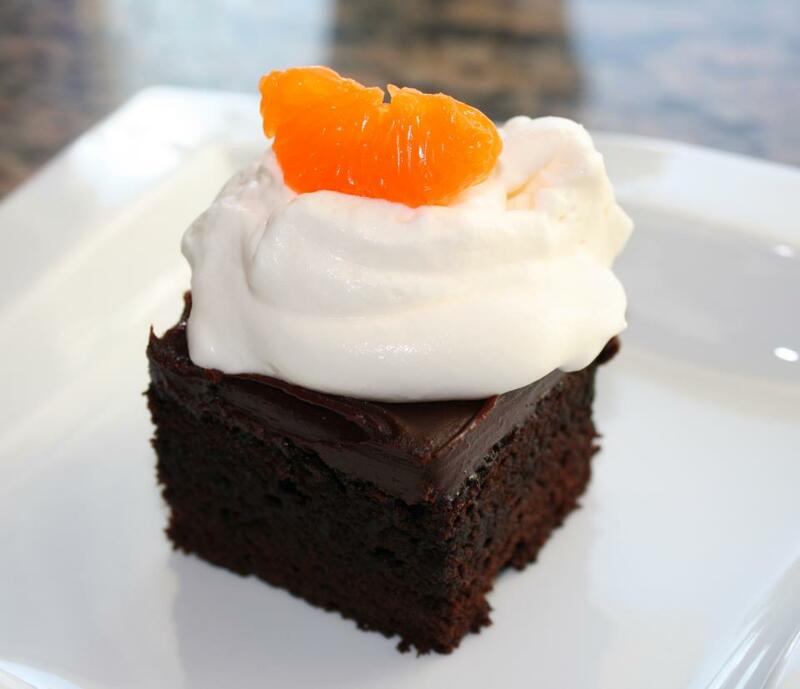 Serve with lightly sweetened whipped cream and a tangerine segment as garnish, if desired.